After attending the University of Dallas, young Robert joined the Merchant Marines, traveling for the next six months while living the exciting life of a seaman. Once he returned to dry land, Robert went to work at the School for the Blind in Austin, Texas, where he worked for two years. Always interested in working with his hands, Robert decided to change careers and left teaching. He enrolled as a union apprentice to learn the carpentry trade. Within a few years, he began taking on his own clients; building, remodeling, and creating specialty projects for homeowners. Active in his neighborhood association in a historic area of Austin, Robert also taught in the building trades department at Austin Community College, and served as chair of the Austin Building Standards Commission. A condemned house in the Hyde Park section of Austin, Texas required an extensive remodel. It later received special recognition in the town’s local publications and included on home tours. 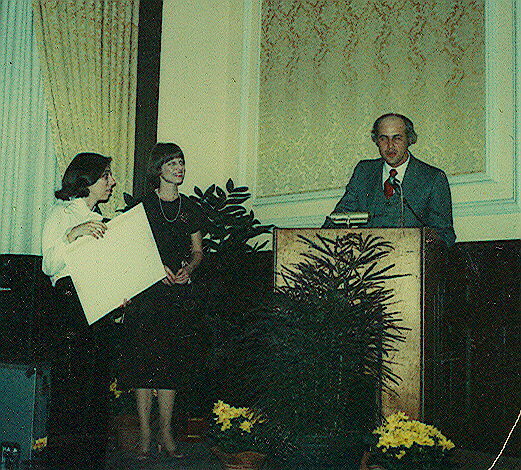 left - Robert receiving historical society award. 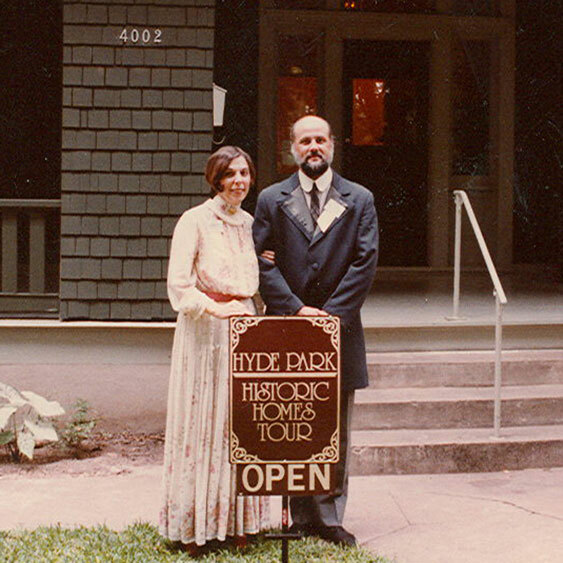 right - Robert and his wife, Betty, in front of restored historical home. While in Texas, Robert worked on diverse projects, from new construction to remodels to metalwork. After a time, his work caught the attention of the widely renowned architect Charles Willard Moore, who sought Robert out for several commissions for himself and his clients. 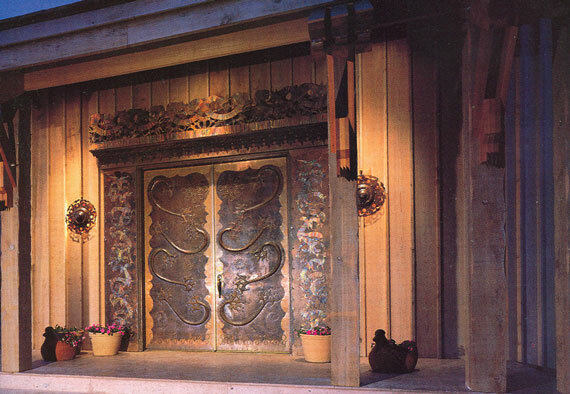 Robert designed and built the copper and wood doors for Moore's client, the Johnsons of Racine Wisconsin. The Laguna Gloria Art Museum sponsored a juried exhibition, "Proud Hands", and Robert's work was included as one of the featured artists. In addition to this work, Robert began to expand his metalwork. His sheet-metal gable ornaments began showing up on a number of Austin homes. 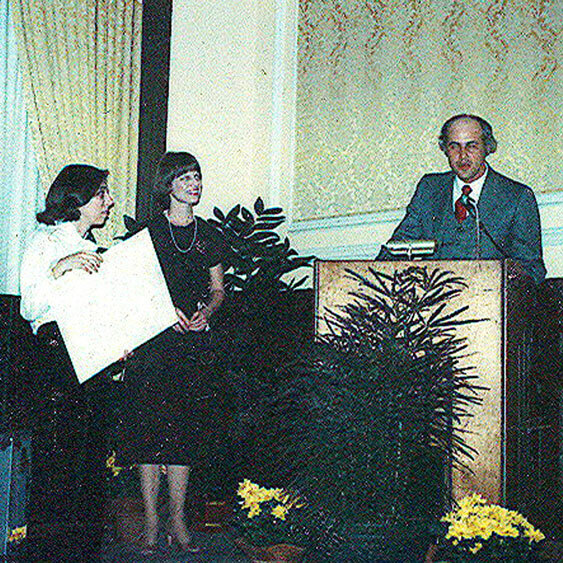 During this time, Robert won the Austin Art in Public Places competition along with two other artisans. The prize was to be awarded the project to replace the gazebo on Austin’s Town Lake. In this joint venture, Robert built the metal superstructure for the gazebo.